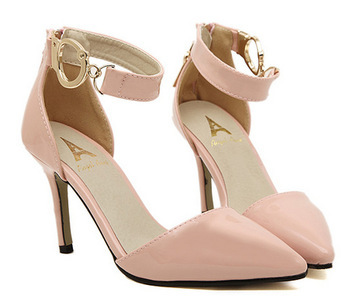 Occasion Shoes for summer 2015, what are the models of footwear for invited trendy? 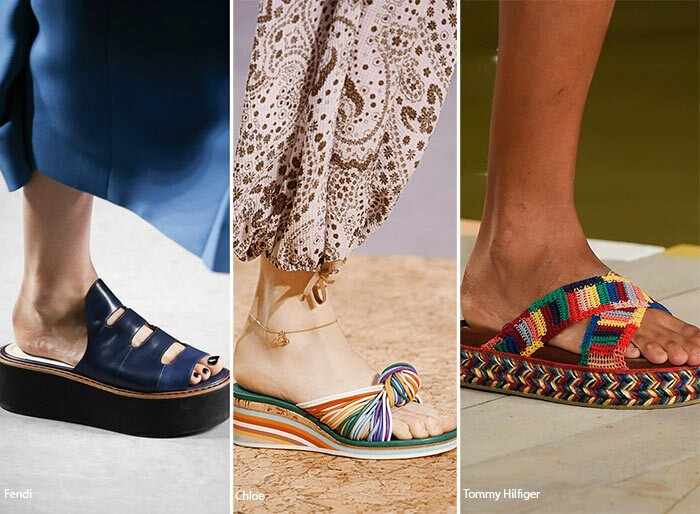 From fashion runways to the catalogues of the best brands in fashion, here is the occasion for the 2015 summer shoes trendy to be elegant and stylish with the invited pumps, sandals, wedges for summer 2015. It is said that the shoes should be only those of the Cinderella tale, all bon ton and little whimsical, because modern fairy tales that tell the designers now offer models of shoes trendy dresses for spring summer 2015 they wink to the classic models giving a touch of uniqueness that makes them truly unique. The proposals are many and varied, ranging from high heeled platform Court to jewel Sandals, slingback Sandals open toe to ankle boots until flat men’s Sandals inspired minimalist patterns. In the gallery you will find perfect models for everyone because they combine perfectly elegance and tradition without sacrificing the most interesting trends of the moment. During the summer the sandals are the most popular, beautiful and sophisticated, perfect for those who love to show off their feet. The models range from Golden Sandals bare minimal effect of Prada with thin strips and high heels and jewel Sandals Gucci beige suede with narrow bands decorated with stones, to beautiful variations on the theme with far more eccentric and decorative patterns. This is the case of Giuseppe Zanotti Sandals, black with satin sash studded with stones, tall, narrow heel or ankle strap Sandals originals by Rene Caovilla S | S 2015, precious and important jewel Orange Leather with colorful decorations on the ankle. Can not miss in gorgeous collections heeled platform Court, even these more traditional versions and more showy: by occasion pumps Gucci powder color with medium heel very ladylike, silver laminated pumps Casadei high heels and narrow Blade line. Among the most chic models are the platform Court anouk Black patent leather Jimmy Choo high heels and tight, the Jimmy ChooMary Jane bicolor black and Tan with a pointed toe, ankle strap slingback pumps and Nicholas Kirkwood S | S 2015, in black leather with cut out detail on the heel and bow on the back. Among the most interesting are also glamorous ceremony shoes models with a strong personality such as Loriblu open toe rhinestone studded ankle boot and ankle boot Byblos open toe beige plaited at front, two real occasion boots to wear with style and character. If you want to be daring with bright colors and flashy, opt for colorful ceremonies shoes, that will certainly stand out amongst other invited. Why not choose the Givenchy Sandals yellow braided front ankle strap? Or the Fuchsia Dior pumps high heels and tight and with fabric flower at the tip? Finally, if heels aren’t for you and you want to focus on comfort without sacrificing style, you can wear low heel Sandals by Oscar de la Renta S | S 2015 with floral embroidery on the toe, beautiful jewel Sandals flat Albano with Rhinestones or original slip on Miu Miu patent leather jewel powder with black bow and precious applications on the front.